RCRA monitors a long list of elements and solid wastes that are considered environmentally hazardous waste because they exhibit characteristics of corrosivity, toxicity, ignitability, or reactivity. 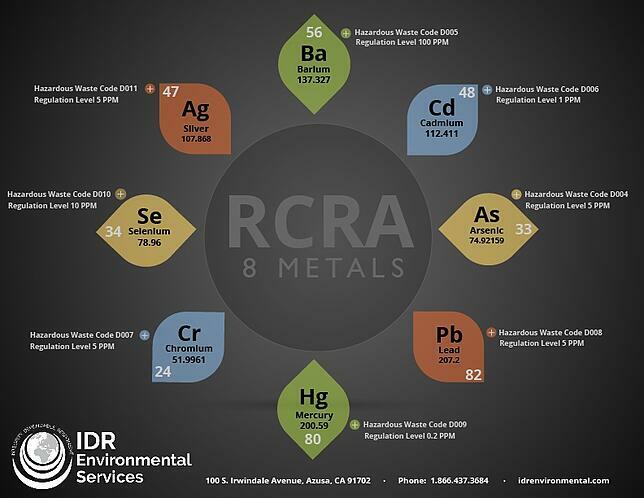 On this list there are eight RCRA monitored metals, known as the RCRA 8.These eight metals include: arsenic, barium, cadmium, chromium, lead, mercury, selenium and silver. Each metal is discussed further in an eHow article, which can be found here. We've included two printable versions, an 8.5 x 11 inches size along with 17 x 22 inches for your office wall. Both signs are completely free. Click the button for the size you want.